We are excited to share news of an update to our batch tool. The updated batch tool makes it easy for users of all technical levels to generate GEOservices and maps for their marketing campaigns. The updated locr batch tool provides users with an easy, intuitive process for generating maps and GEOservices for their projects. 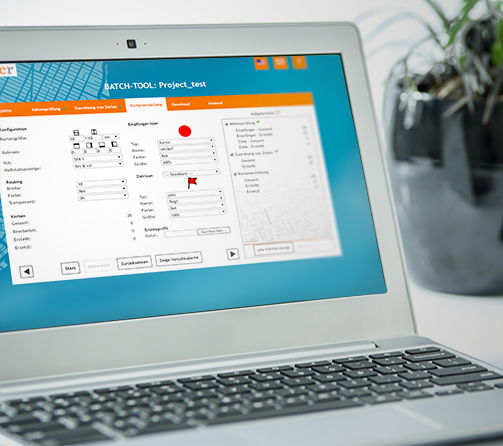 Users who are familiar with the batch tool will recognize the familiar step-by-step process, and users of all technical abilities will benefit from this enhanced version’s improved flow and easier navigation. Including icons in your personalized maps adds value and improves engagement. As demand for these icons has grown, the locr batch tool has kept pace. The batch tool now includes features that make it easier for users to choose which style icons to include on their maps. The help text in locr batch tool has been completely updated and improved. Users can find the help they need when they need it. Is the Batch Tool Right for You? The batch tool simplifies the process of generating maps and GEOservices. Can it help you with your next project? In general, the ideal locr batch tool customer generates maps in batches less than 10K regularly. These batch-generated maps detail relatively simple routings—for example, a customer’s drive from home to a business location. To see if locr batch tool is right for your next project, e-mail us at info@locr.com.